The best Chinese dining means Cantonese – a cuisine from a province where good cooking is a tradition and top chefs use only the best ingredients. 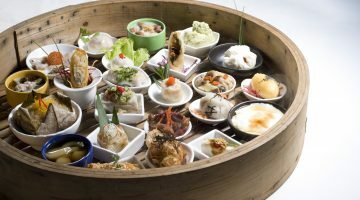 With a reputation as a Chinese restaurant par excellence, an emperor’s feast awaits diners at Dynasty Restaurant (non-halal) at Renaissance Kuala Lumpur Hotel. Located on the first floor of the East Wing, the majestic décor of the Dynasty Restaurant befits its name. The richness of the Chinese setting and the design add a certain charm to the restaurant. Fashioned after the private dining halls of the grand emperors of bygone days, fine bone china offers diners a glimpse into the richness and diversity of Chinese culture. Above all, Dynasty’s warm and sophisticated ambiance is both relaxed and comfortable. There is no fuss and buzz, attentive service staff will ensure that you truly feast on your meal with much delight making it an experience to be savoured. 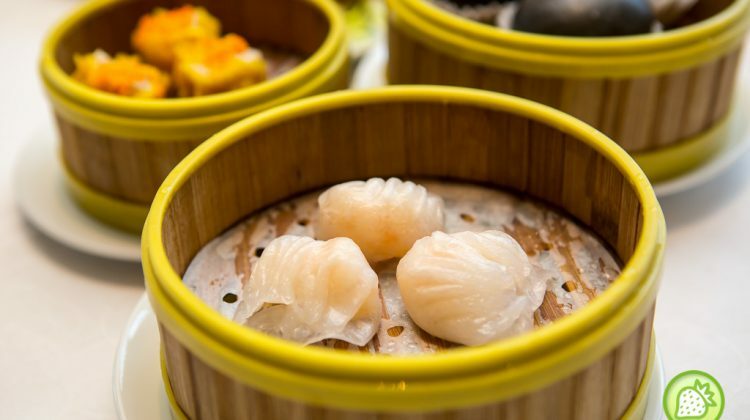 Dynasty offers a wide range of delicately prepared Cantonese fare, as well as award-wining Dim Sum whipped up by Executive Sous Chef Kok Chee Kin and his kitchen brigade. 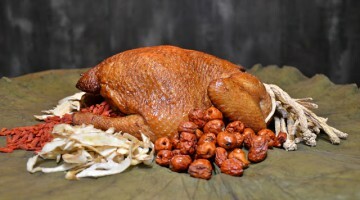 Chef Kok Chee Kin joined the hotel since its opening and over the years, he has combined the kitchens of the various provinces of China and has come up with its own signature dishes. While staying firmly grounded in the finer details of traditional Chinese fine dining, Chef Kok Chee Kin continues to evolve his culinary style. “Guests are surprised with our different styles of Chinese cooking,” says the skilled Chef. 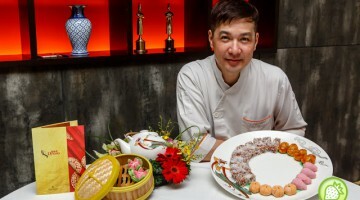 “I like to prepare traditional dishes or to introduce new ideas from Western and Japanese cuisine into traditional Chinese dishes.” With over 20 years of experience, he continues to expand his contemporary style of Chinese cooking, always excited to prepare imaginative new dishes for both first-time and regular customers. Guests who dine at Dynasty Restaurant must try Chef Kin’s range of signature dishes – Oriental grilled lamb with Mongolian sauce, sautéed garden greens and diced mango; Miniature monk jump over the wall; Peking duck, Barbecued suckling pig and Baked cod with honey served with mayonnaise. There are many other popular items on the a la carte menu from the appetizers & cold dishes to barbecued dishes as well as a wide range of seafood choices and the meat varieties. To enjoy good food the healthy way, Chef Kin has introduced a section aptly named Fit For You with its selection of healthy vegetarian dishes. Wok fried smoked chicken with shimeji mushroom and fresh lily bulb; Wok fried mee sua with bean sprout, fungus and mushroom and Braised assorted vegetable with preserved bean curd sauce are just a few of the dishes from this healthy section. 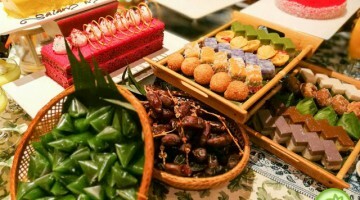 Meanwhile, the dessert section features traditional and modern Chinese sweets such as Crispy Chinese pancake with lotus seed paste, Double boiled hasma with fresh ginseng and red dates Chilled Chinese herbal black jelly served with honey; the ever popular durian fritters and Chilled mango pudding with pomelo. Dynasty Restaurant is also well-known for its Dim Sum. One can expect a wide variety of these dainty morsels from steamed, deep fried and baked to perfection. Dim Sum like the Crystal chive dumpling, Canton beancurd roll, Prawn salad dumpling and Crispy almond prawn dumpling are highly recommended by Dim Sum Chef Chai Chee Yuan. 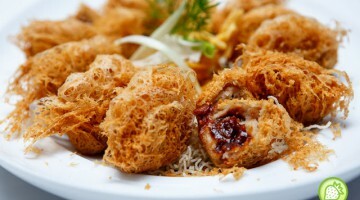 For an intriguing bite that is truly tasty, diners ought to sample the Crispy prawn roulade with foie gras, and Pan fried beancurd skin roll filled with cheese. However, old time favorites such as Stir fried radish cake with spicy shrimp paste and bean sprout, Crispy chive biscuit filled with shrimps, Steamed fluffy buns filled with barbecued pork and more are popular among the regular diners. With intimate dining areas and generously spaced tables allowing room for comfortable private conversations, together with a warm and exclusive ambiance, Dynasty Restaurant provides the perfect setting for experiencing Chef Kin’s exquisite creations. Dynasty Restaurant is open daily for lunch from 12.00noon to 2.30pm and dinner from 6.30pm to 10.30pm. Dim Sum breakfast is served from 9.30am to 2.30pm on Sundays and Public Holidays (dinner hours are as usual). Dynasty Restaurant is located on the 1st Floor, Renaissance Kuala Lumpur Hotel – East Wing. 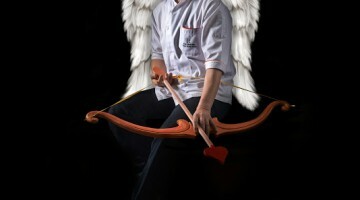 For further enquiries and restaurant reservations, please call 03 2162 2233 or email [email protected]. We recommend that you book early to avoid disappointing your palate. 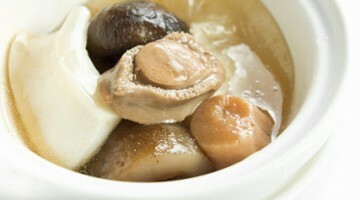 Dynasty Restaurant @ Renaissance Kuala Lumpur : Is time for Hotpot! Looking for a nice place for your steamboat? 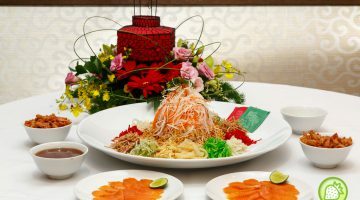 And now you can have them together with family or loved one all at Dynasty Restaurant, Renaissance Kuala Lumpur. Located at Level 1 of the hotel, Dynasty Restaurant brings you with their steamboat sensations. 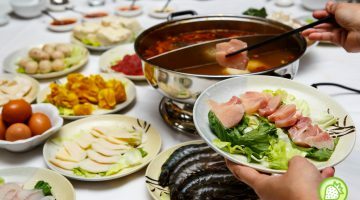 You do not have to worry on preparing the … [Read more...] about Dynasty Restaurant @ Renaissance Kuala Lumpur : Is time for Hotpot!